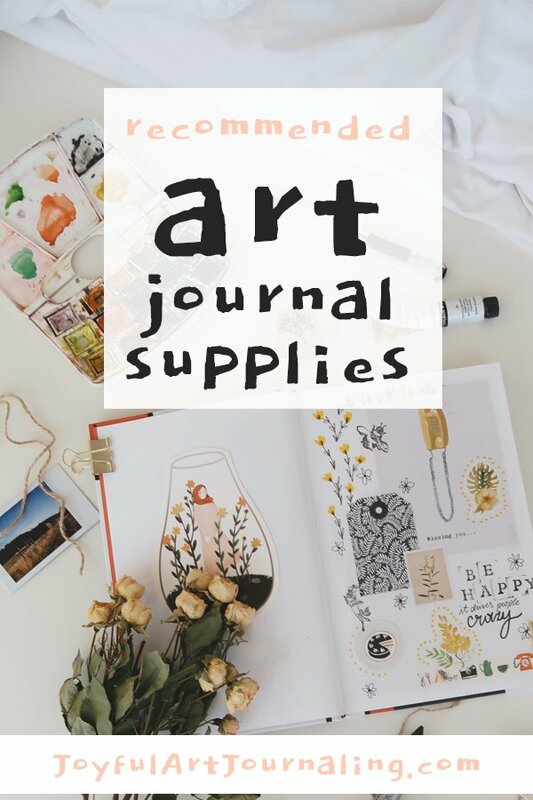 If you’re new to art journaling (or just want to try some new techniques) I’ve put together this list of recommended art journal supplies just for you! My goal is to do individual reviews on a lot of these, and I will link to those reviews as they are completed. But before I get started, I will say this: I’m never too precious or pretentious with my art journal supplies. I’m art journaling for MYSELF. It’s fun and creative and helps me hone my artistic skills. But nothing I create in my art journals is going to end up in an art museum. And that’s okay! And for that reason, I’m fine with using lower-cost craft supplies, my kid’s discarded Crayolas, etc. 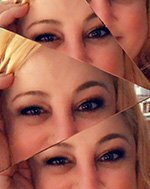 I’m just here to have FUN! Having said that, if I’m going to spend a little more money, it would probably be on the art journal itself. 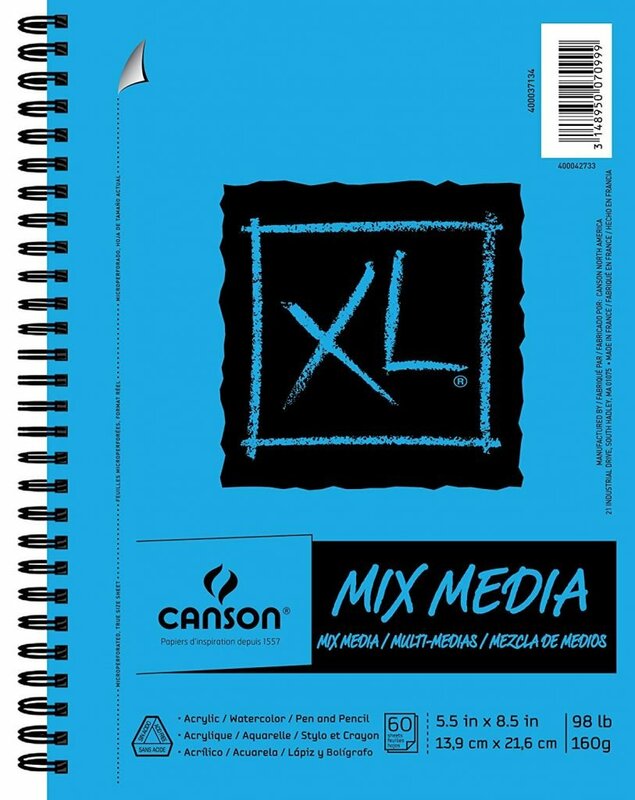 Having thick, quality paper is important to me, because I use so many different types of media and I want that paper to hold up to it all. 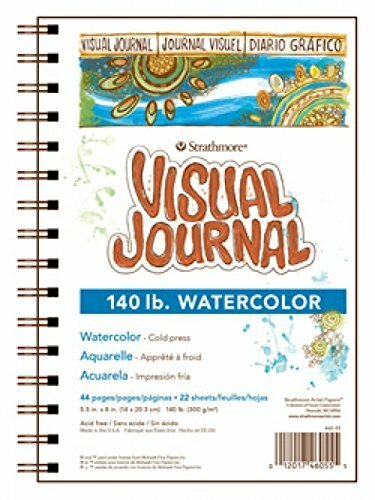 So the first thing every art journaler needs is a journal, of course! In fact, once you have a journal, you probably have enough other supplies around the house in order to get started today! (Colored pens and pencils, scissors, glue sticks and maybe some old magazines are a great starting point.) But all journals are definitely NOT the same. So let’s talk about some differences, so you can figure out what journal will be best for you. You can remove that cover page, and the hard cover itself underneath (at least on mine) was a fairly unappealing brown, so I just collaged over it! Paper is another thing to consider when choosing an art journal. 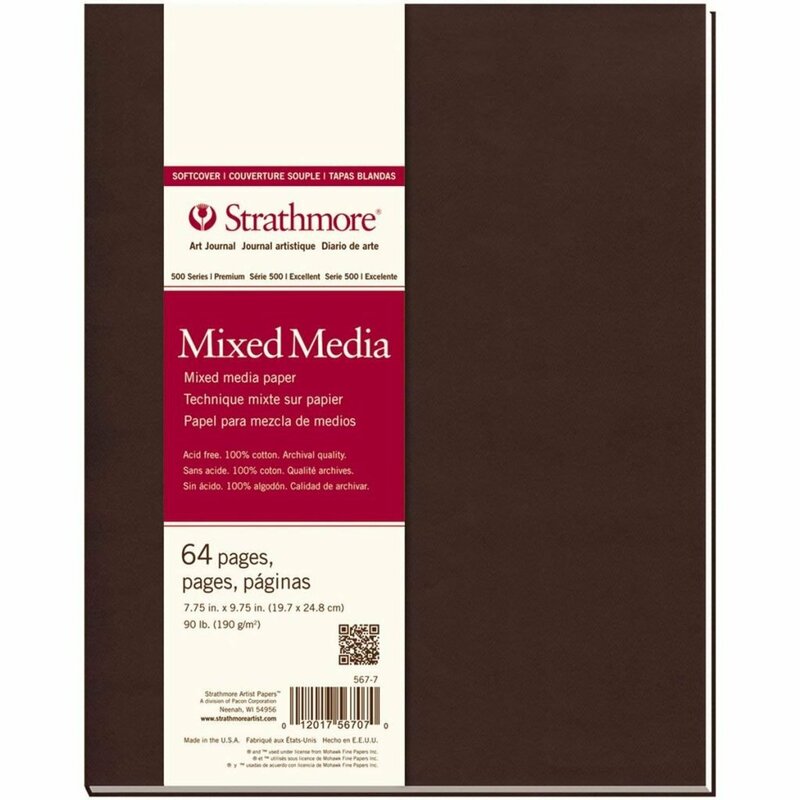 You can choose a journal with paper that is based on the medium(s) you’re most likely to use, like watercolor paper if you’re going to use a lot of wet mediums, or bristol paper if you’re going to do a lot of drawing and writing. Generally art journal paper is white, but you can find them in bright white or cream, or some other variation of white. There’s also grey or even black. You can also get gridded or lined paper in your art journals (I know most bullet journalers love/use journals with gridded paper). I love to play with size in my art journals! I have this one small 4″x4″ one from Field Artist (though I will say this: it says it’s watercolor paper inside and yet, it pills up a bit when I used watercolor on it.) But I also have some that are 9″x12″. I like to be able to get something down quickly in my smaller art journals, but I also love all the room to play on bigger pages. If you only choose one size for now, that’s something to keep in mind: will you have lots of time? Or will you want to create quick, small spreads? I like to do both, so I have both available. Or you can even get one made for you from this shop that uses vintage book covers to create a unique art journal just for you! 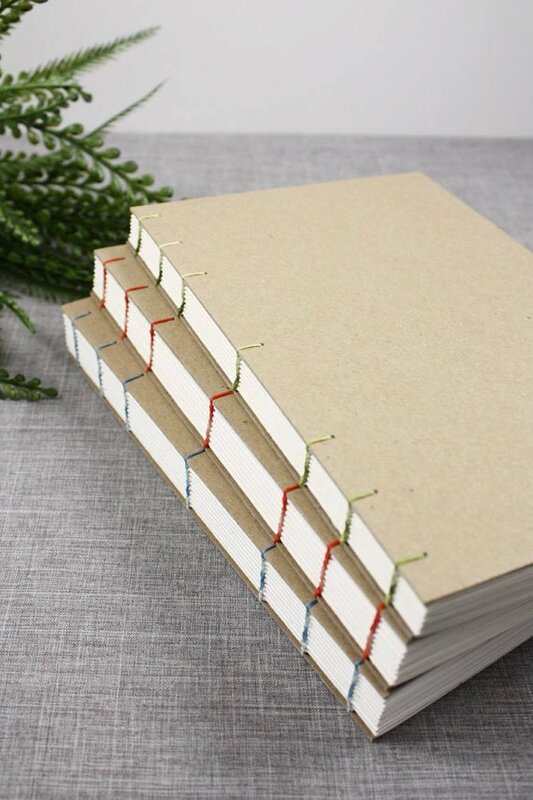 Of course, if you know how to bind (even the simplest of) books, you could make a journal for yourself, too! I will have a tutorial up about that soon. In the mean time. you can check out this free (for a limited time, to new students) class called “Book Binding Part 1: How to Create a Pamphlet Stitch Journal or Sketchbook in 15 Minutes” and/or “How to Make a Coptic Stitch Sketchbook“. As you can see, there just about as many types of art journals as there are art journalers. But one of the many wonderful things about art journaling is that it’s an ongoing practice! So if you try a hardbound journal this time, you can always try another style next time. Beyond the art journal itself is where you can get super creative! I’ll break these supplies down into general categories. Paint – I love to use a variety of paint and inks. I’ll suggest a “beginner” and an “upgraded” brand (or two) for each of the varieties I generally use. Watercolor: Beginners: any inexpensive pan set will do. Upgrade: For pan watercolors, I love Prima Marketing Watercolor Confections, but the liquid watercolors from Dr. Ph. Martin will rock your world! Acrylic: Beginners: Again, any inexpensive set will do to start you out. If you want better paint at a slightly higher price, I think Liquitex is a great starter brand. I also like buying craft paints for my art journals, because you can get so many colors for such a low price! Upgrade: Acrylic paints can get really pricey, so as an upgrade I’m going to recommend a more medium-high level for your art journals, and that is the Golden brand which has a wide variety of acrylic paints (liquid, heavy body, medium body. etc.). Oil Paints: I don’t often use or recommend oil paints for art journals, because they take so long to dry. But occasionally I’ll use oil pastels. You can buy them in larger sets, but because I use them so infrequently, I tend to just buy the individual colors I am most likely to use. Bonus: Tempura Paints are fun, well-priced and easy to clean up! Pens – There are so many types and brands of pens, I could write about just those for years! So here I’ll just recommend a few of my favorite, go tos! Brush Pens: Brush pens are super fun! They are typically filled with watercolor and so they’re great to “paint” with. I especially like these Tombow Dual Tip Brush Pens because one tip is like a watercolor brush with the other side like a fine tip pen/marker nib. Hand-lettering Pens: Again, I really like the Tombow Brand for hand-lettering. This pack comes with two tip types: hard and soft, so you can experiment and see which one you like more. Markers: Markers are great for adding color and variety to your art journals! Plus they don’t need to be fancy to do the job. In fact, I love this pack of Crayola Super Tips Washable Markers! It’s an 80 count set, with 43 unique colors with doubles of your favorite 25 colors & 12 scented shades (scented?! It doesn’t get much more fun than that!) And as of the time I’m writing this, it’s under $20 bucks! If you want an upgrade, I love Prismacolor markers with a dual (chisel and fine) tip. They blend so nicely, too! Gel Pens: Gel pens are another fun art supply that won’t break the bank (like this set of 120 colors for under $20!) Of course, you can go with a name brand gel pen like Sakura, but they both get 4.5 star reviews on Amazon, so spending the extra money may not be necessary! Bonus: There are so many different types of pens to play around with, so why not just try some?! I recently bought this pack of Sakura Souffle Pens and they write on all kinds of surfaces (paper, glass, plastic, ceramic, metal and more!) and they dry slightly “puffy”. Never be afraid to expirement with new supplies in your art journal! Pencils – Pencils are inexpensive, easy to draw with, travel with, and use! Colored pencils are also fun. 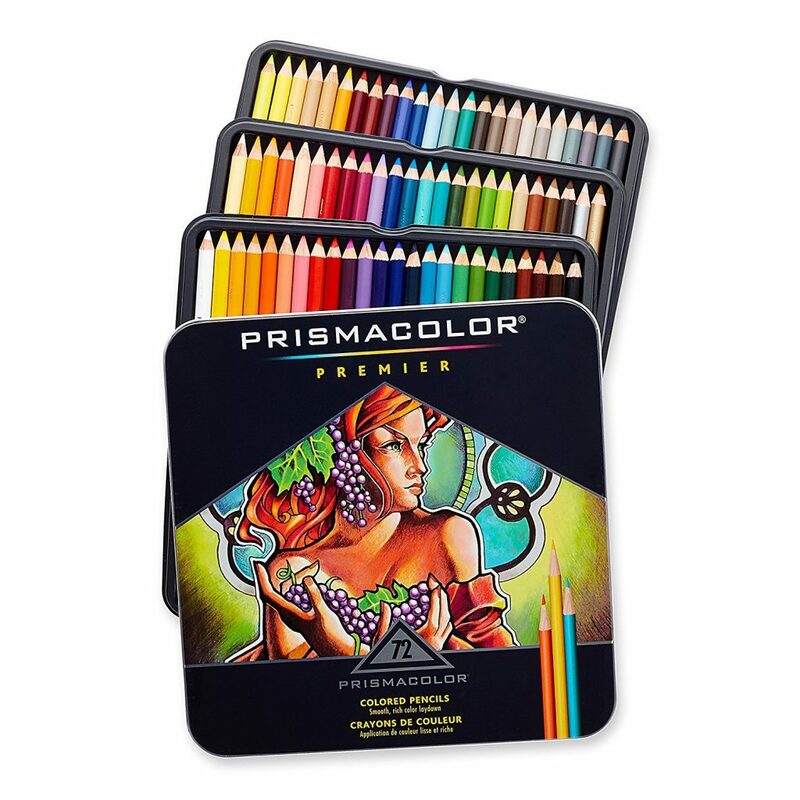 You can start with a small 18 color starter set, a large (but affordable and highly rated) 120 colored pencil set, or grab this artist quality, 72 color set from Prismacolor. Paper – Beyond the paper in your journals themselves, you might want to start a stash of beautiful paper. This could come in the form of things you cut out from magazines, vintage ephemera, tissue paper (so you can kind of see through it! 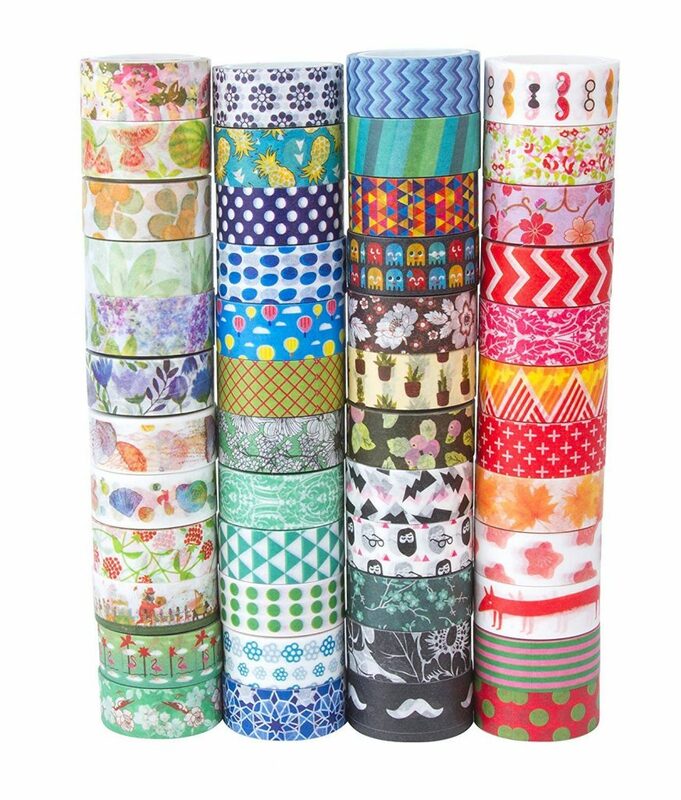 ), metallic paper, colorful paper, patterned paper and more! I like to save pretty bits of gift wrap, catalogs, even packaging can be lovely. In fact, I have an entire blog post about Where to get free images for your art journal that you might find helpful! 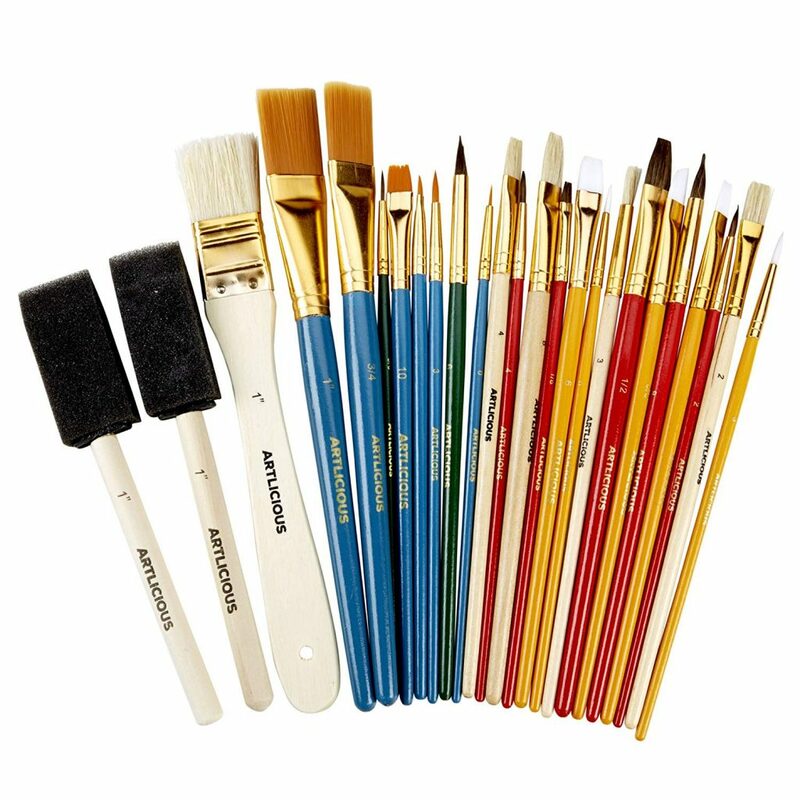 Adhesives – If you’re going to do any kind of collaging in your art journals, you’ll need adhesives of some sort. Either glue (I like Aleen’s Quick Dry Tacky Glue), glue sticks (I like Elmer’s Disappearing Purple School Glue because you can see if you got it someplace you don’t want it – because it’s purple – but it’s also washable, nontoxic and acid-free), or Modge Podge or a nice matte medium if you want to “seal” or glue on top of your images, too. Tools – I’m always adding to my collection of tools, so don’t feel like you have to get all of these right away. Except for maybe scissors (which you probably already have — but you may eventually want to get some scissors specifically made for cutting out tiny details for collage, like these Fiskars) and paint brushes the rest of this list can probably just be purchased on an as needed basis. If you’re starting from scratch, this simple collection of brushes is an affordable way to get a wide variety of shapes, sizes and types. Other tools you might want at some point: a bone folder (especially if you’re going to make your own journals eventually), an awl (also for journal- / book-making), a guillotine paper cutter, a heat gun tool (to dry paint quickly, or for embossing, etc. ), bulldog clips (to hold down/open your journal while you work in it and/or as paint or glue dries), paper punches (they come in so many shapes! ), and maybe even something like a Cricut (it’s definitely on my wishlist!). This is a great list! I love that you include a list of things folks can use to start art journaling today, without formal art supplies. Thank you for sharing. Thank you for your kind words! I checked out your blog — you are so talented!! Thanks for stopping by!